COAR and UNESCO have published a joint statement on open access which outlines some of the concerns around the drive towards APCs. The statement is aimed at policy makers and underscores the need for a variety of OA models to be implemented around the world. 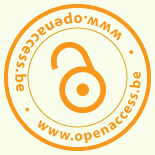 It states that open access is a global trend, with policies and practices are rapidly being adopted around the world. As the world enters a new era of sustainable development, openness and inclusiveness in scientific research will become increasingly critical. While most governments agree on the underlying principles of open access, there is significant diversity in the way countries have approached its implementation. These differences reflect a range of perspectives, values, and priorities of the different regions. Clearly, there is no “one-size-fits-all” solution to implementing open access. Consider institutions with smaller budgets and developing countries. Authors will be unable to publish once limited funds have been exhausted. Such a system will need to support researchers who cannot pay APCs – to avoid further skewing a scholarly publishing system that is already biased against the research undertaken in certain disciplines and countries. Avoid further concentration in the international publishing industry. A flip to APCs will further consolidate the large-scale monopoly of the international publishing industry. In the current system, the five largest publishers publish over 50% of the research papers produced. A mere shift towards the pay-to-publish model will institutionalize the influence of these companies, and discourage new entrants and models other than APC models. Explore ways to reduce costs. Recent studies indicate that, at current APC costs, there would be a buffer of minimum 40% when subscriptions would be transferred to an open access model. New models should build in mechanisms that ensure cost reductions. Globally, we are already paying billions of Euros/Dollars per year on subscription access to journals. Simply shifting payments to support APCs may lead to higher systemic costs, curb innovation, and inhibit the scholarly community’s ability to take advantage of new models and tools. There are numerous high quality and economically viable journals that do not rely on APCs. Additionally, while journals play an important role, repositories have been established around the world and they represent the primary mechanisms for implementing open access in the vast majority of countries. Individual repositories are linked via national and regional discovery services like OpenAIRE and LA Referencia, and regional services are entering into agreements about data exchange that will ensure truly international and cost-effective coverage of publication output, and support the development of innovative, value added services on top of the global network. As noted in UNESCO’s World Science Report, “The creation and transfer of scientific knowledge are critical to building and sustaining socio-economic welfare and integration in the global economy. In the long run, no region or nation can remain a simple ‘user’ of new knowledge but must also become a ‘creator’ of new knowledge.” A large-scale continental shift towards a pay to publish model in Europe may have significant unintended consequences for both Europe and elsewhere by impeding global participation in the system and contribute to a more consolidated and costly scholarly publishing system. It is imperative that governments and the research community encourage a variety of approaches to the implementation of OA. This will result in a healthier and more innovative ecosystem for scholarly publishing, and ultimately lead to greater use and impact of research.